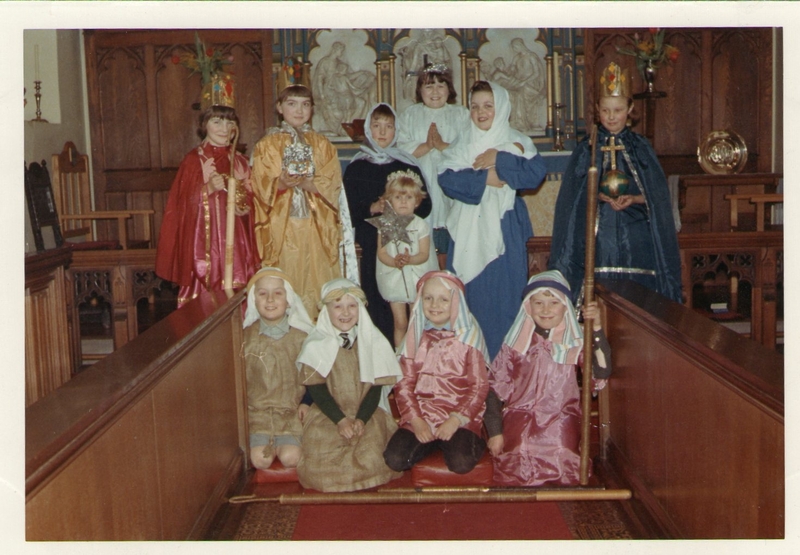 Nativity Play, St Giles Church in the 1960s. Photo copyright of David Brookfield. Elaine Cauldwell, Catherine Green, John Green as Joseph, Sandra Speed (angel) Susan Neal (thats me) – sorry I can’t remember name of the 3rd King,Claire Roberts (star). Shepherd – David Bentley, sorry can’t remember 2nd shepherd, Graham Sullivan and Stephen Edmonds.